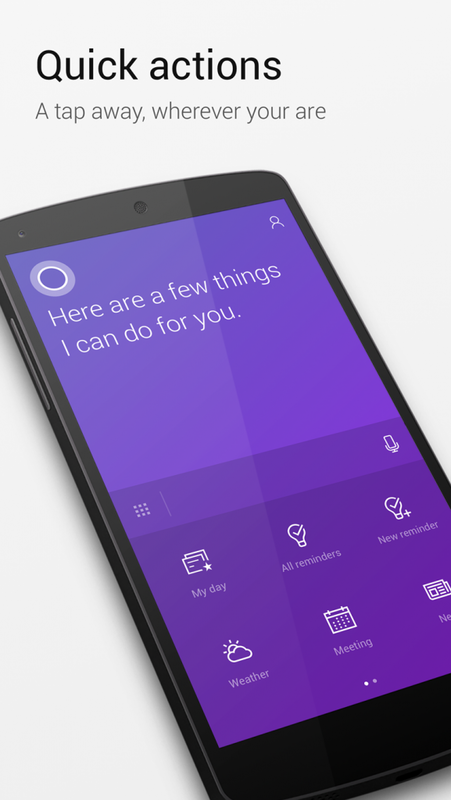 The Cortana Android and iOS apps are coming to the UK, extending the functionality of your Cortana on Windows 10 to whatever smartphone you carry, always in perfect sync, always helping you stay on top of things. Since releasing Cortana on Android and iOS a year ago in the US, you have been telling us what you liked and how you’d like it to be improved. We listened. We’ve created a more simplified look and feel for the apps, designed with your mobile life in mind. Now you can get to what you need faster and easier than ever before with quick actions, putting the most frequent things you do front and center, so setting a reminder or viewing your reminders is just a tap away when you don’t want to use voice.